New construction homes at Epperson are located in the highly sought after area of Wesley Chapel, Florida, featuring many home sites with water or conservation views. 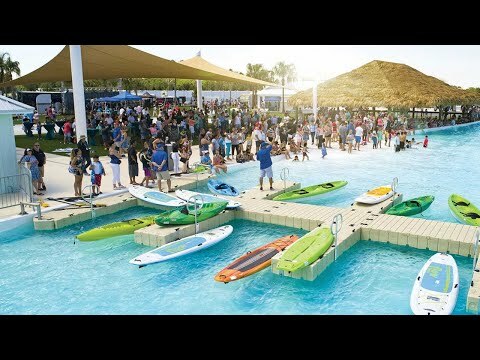 A one-of-a-kind, gated community, Epperson residents will enjoy splashing around in the Crystal Lagoon, surrounded by its own white sandy beaches: the first of its kind in the U.S. The life you want to live is waiting for you at Epperson. Explore this community and see for yourself. The open concept single-story Tropic offers three bedrooms and a flex space, as well as a cohesive kitchen, gathering areas and optional lanai. The Starboard maximizes its 2-story design with an open kitchen, naturally lit café area, spacious gathering room, and sizable loft. The Seamist provides features that matter: a huge upstairs loft, flex space, and connected kitchen, dining, and gathering areas. The Oasis perfects single-story living with three bedrooms, flex space, oversized laundry room, and a convenient Everyday Entry. Don't miss the Citrus Grove for its spacious Owner's Suite and flex space downstairs, and a huge game room on the second floor. The Cascade Grand is known for its spacious 2-story home design, with additional golf cart storage or hobby space in the two-car garage.